We have a bunch of things here that are relatively recent. The pictures below are from our trip to Japan in April of 2005. These are pretty much the latest pictures of Kai as well, so a good place to get the latest on him. Some other stuff as well over to the side: the latest woodworking commission I've done, stuff like that. 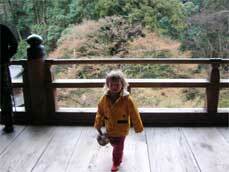 These are some of the pictures we took in Japan. 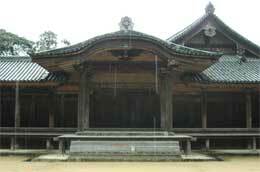 This temple is one of the most amazing in all of Japan. 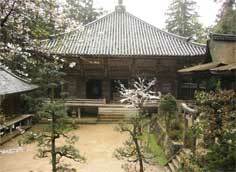 It is located in Himeji, in the Hyogo prefecture. 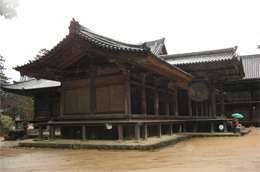 This temple, and it's numerous buildings, were used in the filming of The Last Samurai. The area where Kai is standing is the area where Tom Cruise and Ken Watanabe have some of their convsersations. An amazing, amazing place.